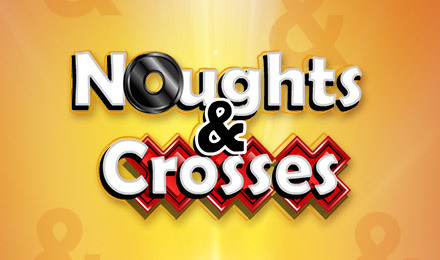 Scratch your way to big winnings with the classic Noughts & Crosses Game at Vegas Spins! Scratch off noughts and crosses on the grid to reveal matching combinations and uncover multiple chances to win! Relive the childhood classic game and play the iconic Noughts & Crosses Scratchcard Game at Vegas Spins. Electracade has brought the iconic Noughts and Crosses game to life in this exciting game to allow you to relive this addictive experience and scratch your way to big prizes. The aim of the game is to scratch off all the nine icons on the grid to discover if they are noughts or crosses. To play, match winning lines to create winning combinations either diagonally, vertically or horizontally. To spice up the gaming adventure, both the noughts and crosses will pay out different amounts of prizes, which can open up multiple chances to win. Watch out for the big X, which will reward you with extra prizes, and help you on your journey to real cash winnings!